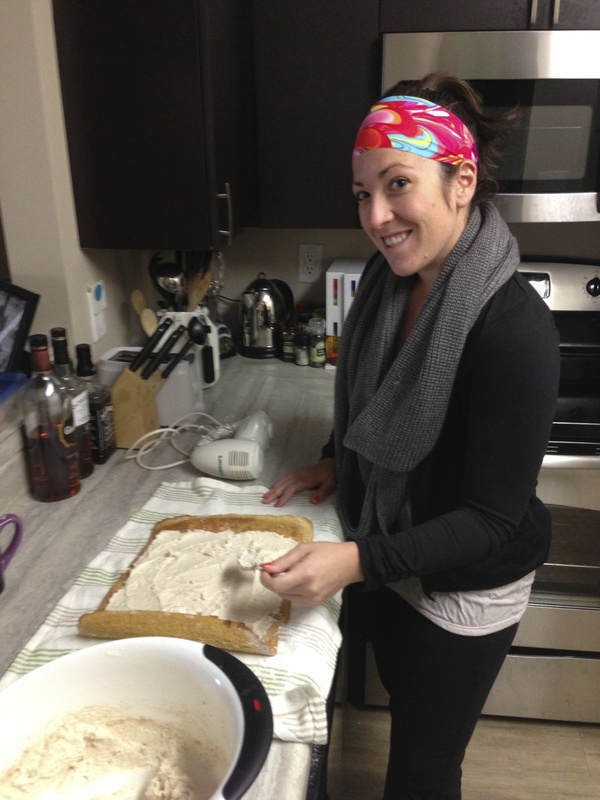 This was actually my first effort at my Winter 2012 To Do list baking goal. 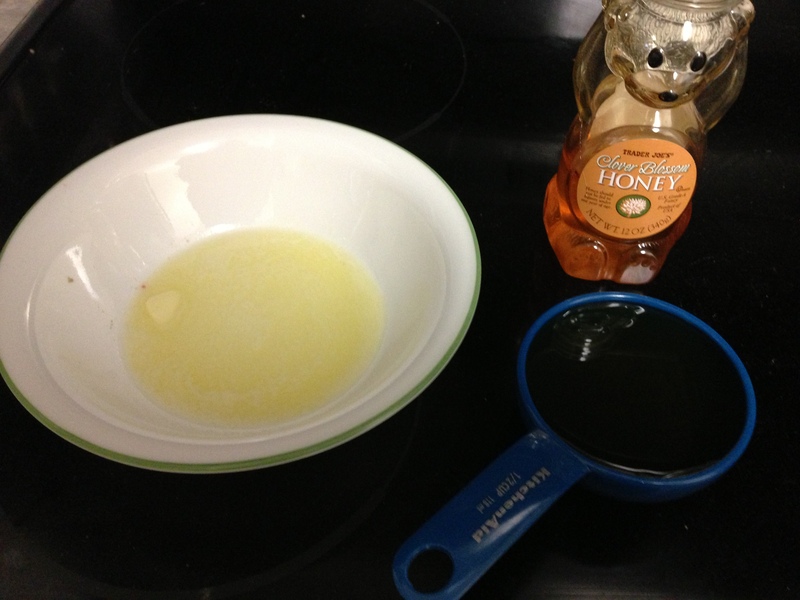 This recipe is obviously WAY overdue and probably won’t be very beneficial now that the holidays are over. 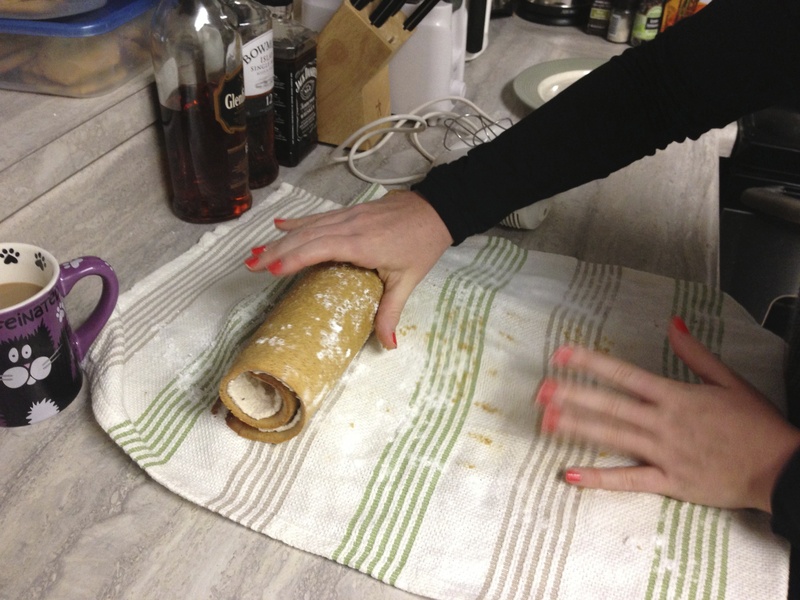 BUT if you’re in the mood for a delicious winter dessert and have the time to put in a little effort, let me suggest making this amazing cake roll! 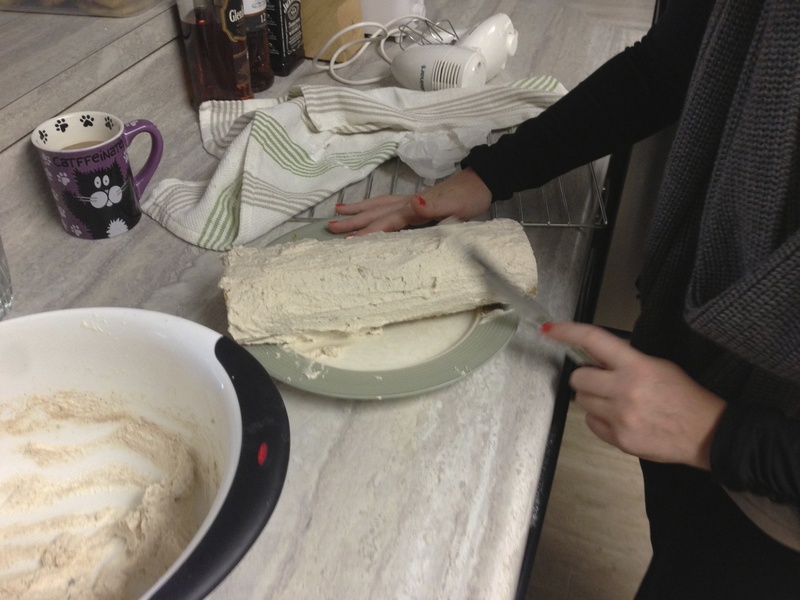 I had been wanting to try out a cake roll for a long time because, well let’s just be honest, they look super cool. Luckily, my lovely friend Sarah hosted a “Christmas Cake” party this year. The party was on a Sunday afternoon, so I used Sunday morning / early afternoon to assemble this beautiful cake. 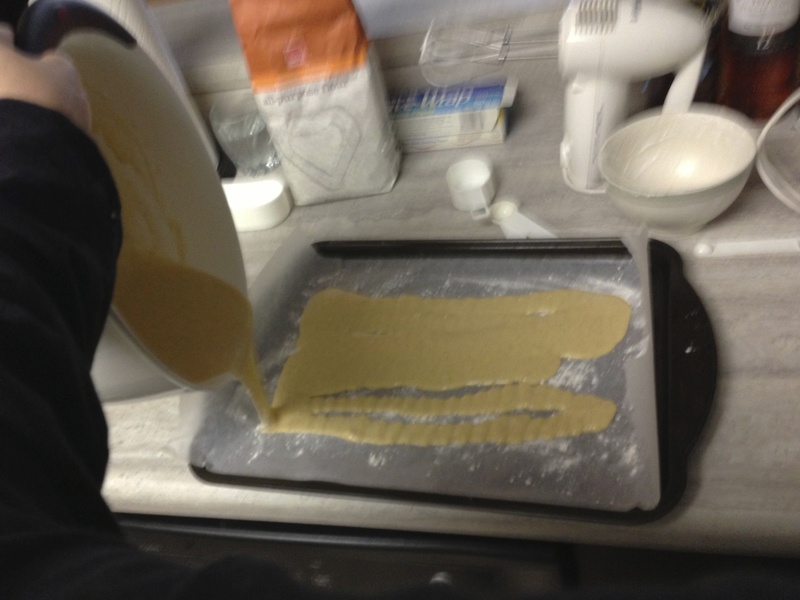 I’ve mentioned before… I’m not a baker. But this kinda makes me look like one right?? Good thing I had Mike there to supervise me (and take 1000 photos). 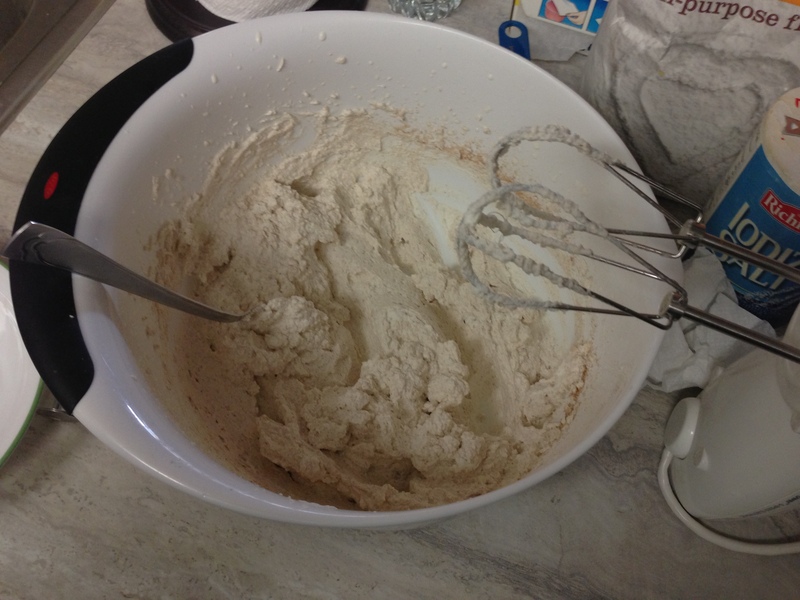 I used this recipe because it required the least complicated ingredients. There were other recipes telling me to buy creme fraiche and I was like, thanks but no thanks. First obstacle.. 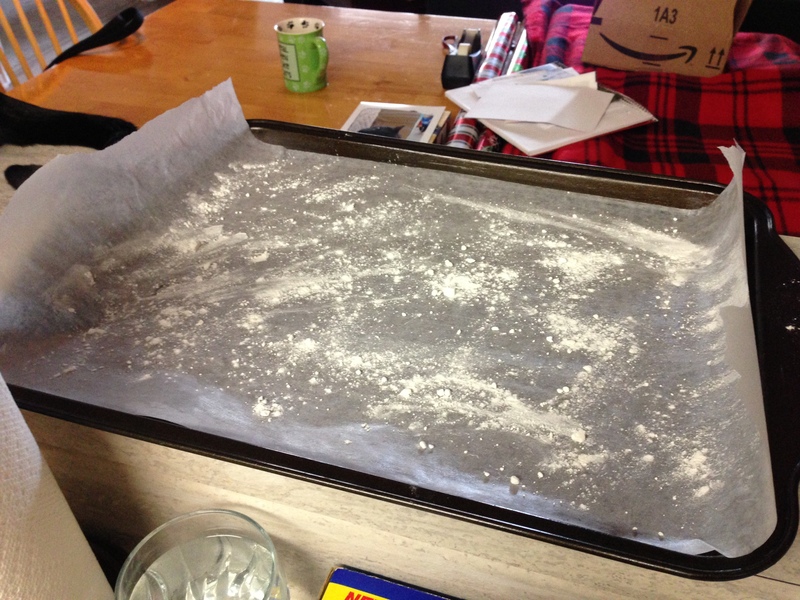 I was supposed to use parchment paper. I didn’t even really know what that was to be honest. Again, my childhood cakes came out of a box from Betty Crocker or from an adorable Italian baker named Nino. 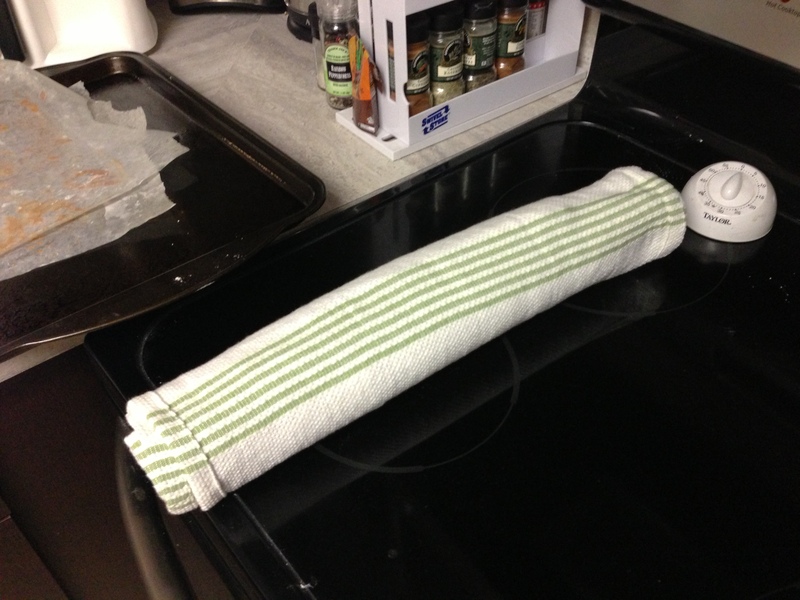 But I quickly googled and realized it was kind of like wax paper, which I happened to have (and have never used because I had never once had a use for it). 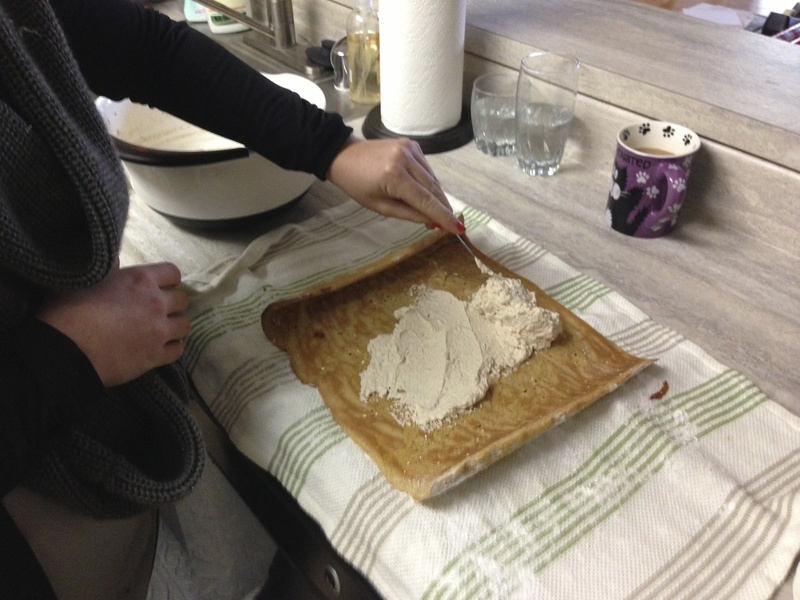 The article I was reading said parchment paper was better than wax paper, but I figured beggars can’t be choosers. 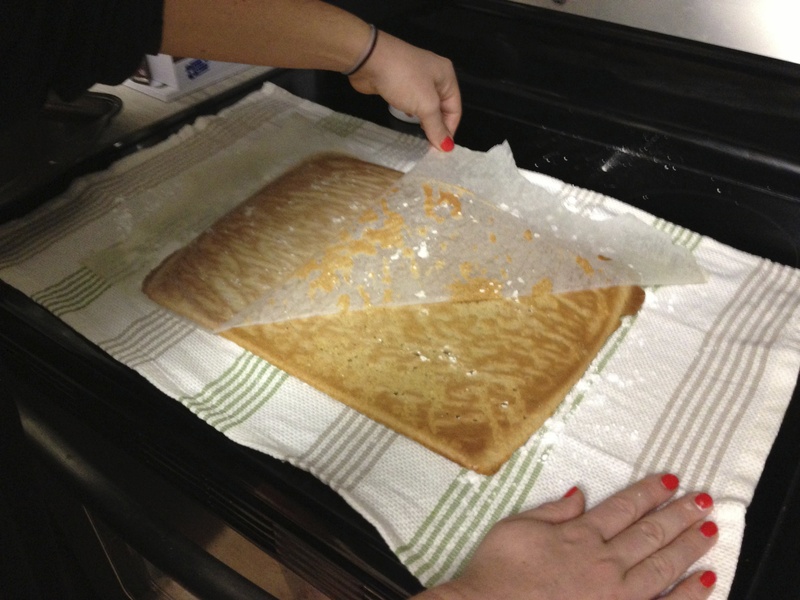 Wax paper it is! 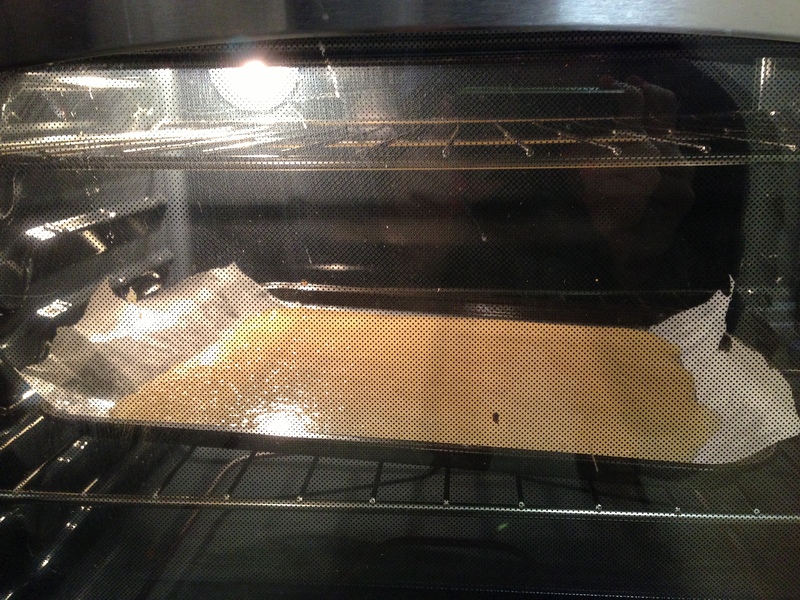 I added extra flour in hopes it would prevent sticking. I’m not patient, so the eggs portion was definitely hard for me. 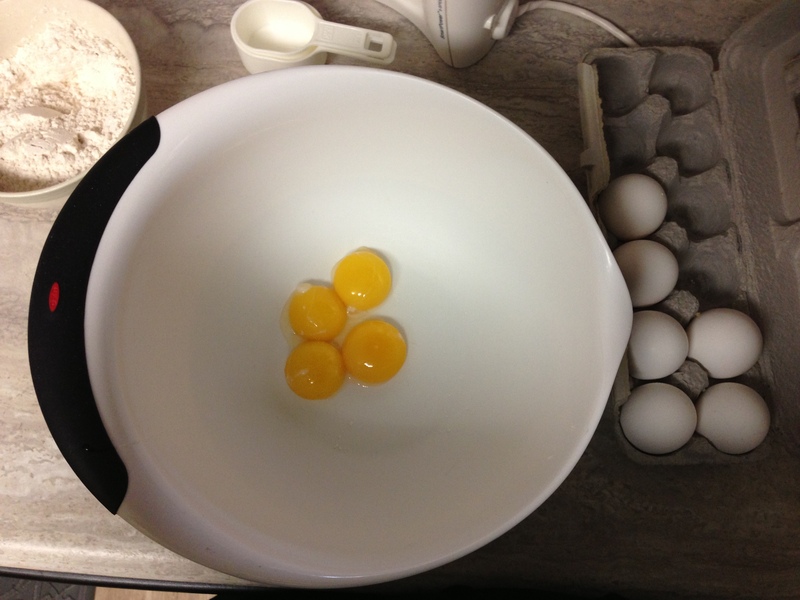 You had to beat the yolks for forever and then the whites for EVER LONGER. Lame sauce. This was by far my least favorite part. 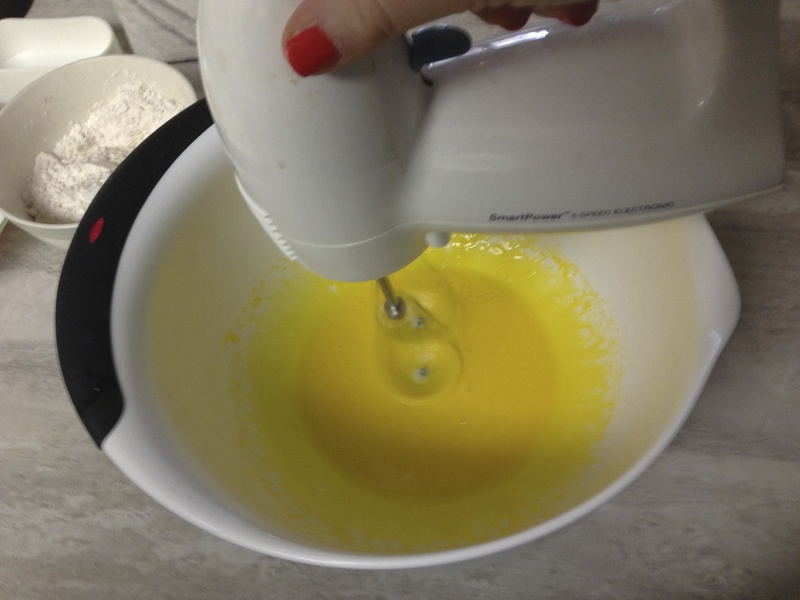 My egg whites totally didn’t get stiff before I said “screw it” and threw them into the batter. I don’t think it really mattered. Before I knew it, into the oven it went! It cooked really quickly because it was so thin. While the cake was in the oven, I read the instructions for how to roll the cake probably 400 times. And then made Mike read the instructions. And then explained to him what I thought the instructions said to see if that’s what he thought they said too. Finally, I think we had some sort of idea what we were going to do. I was only upset that I had to put that towel in the wash after. Dishes are one unfortunately side effects of cooking… but laundry too?? 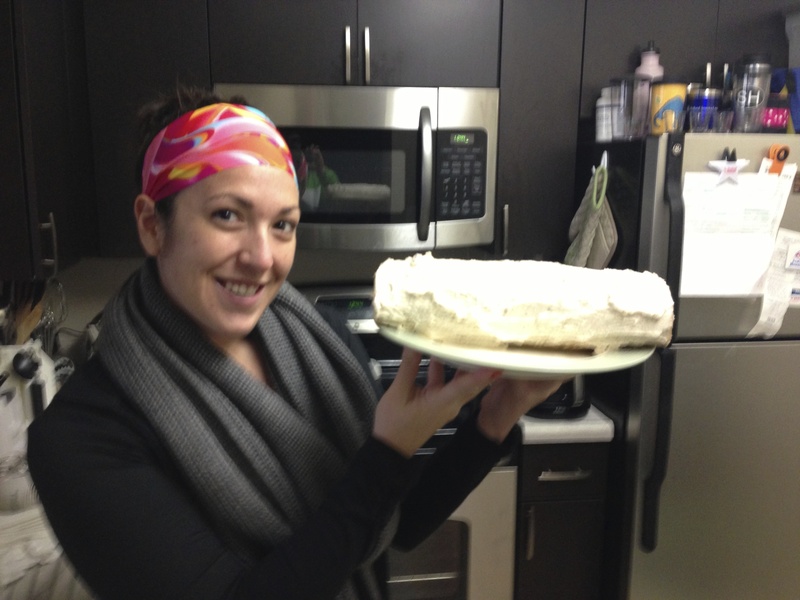 While the cake was cooling in its towel cocoon, I made the icing, which was my favorite part. 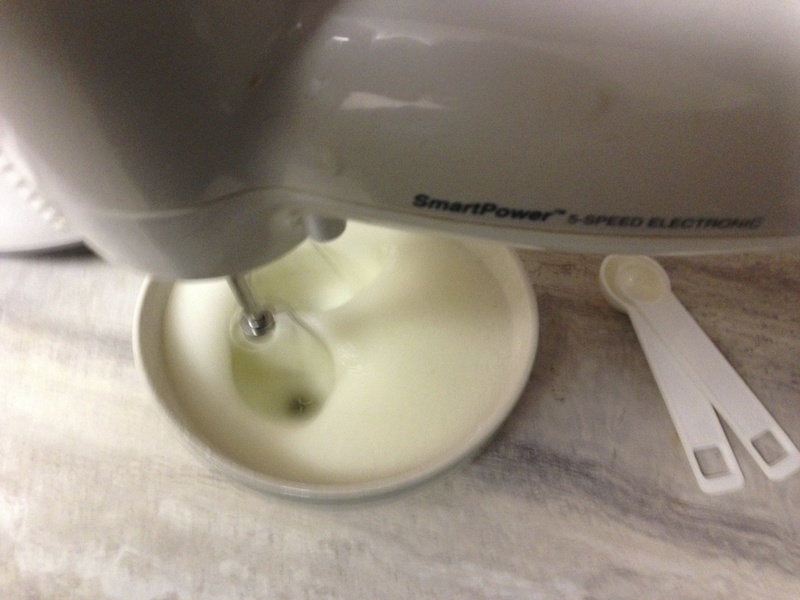 Making whipped cream icing is possibly one of the easiest things ever. And this frosting tasted SO GOOD with all the spices in it. Then it was time for the moment of truth! 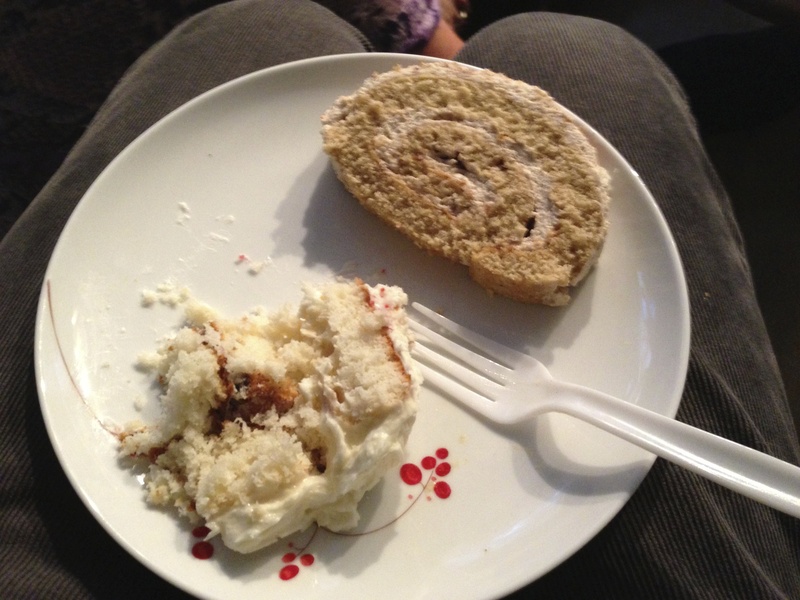 Unroll, fill with frosting, roll it back up, and pray. I covered up a few minor imperfections with the rest of the frosting (including plugging up the ends to make it look more solid) and VOILA! Gingerbread cake for everyone! 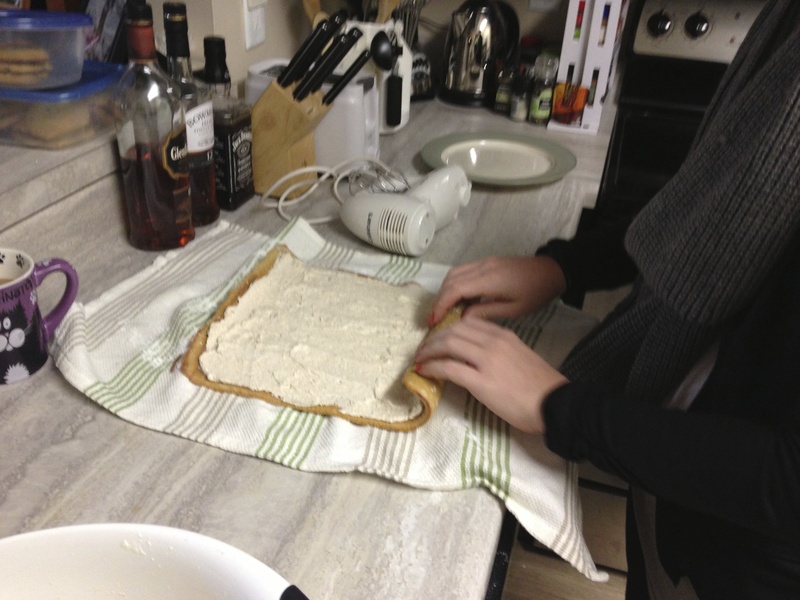 This whole process did end up taking several hours (including letting the cake cool completely). I even changed outfits. Yeah can you believe it? I changed INTO this hippie/yuppie combo outfit I’m rocking below. Sundays are not for style my friends. I swear I put different clothes on (and bathed) before the party. But thankfully the cake was a HUGE hit at the party. It is pictured below alongside Sarah’s lovely white chocolate triple layer cake that was divine. If I had to make one adjustment, I’d put a little more frosting on the inside. I didn’t want to use too much or not be able to roll it up correctly, but it could have stood a little bit more frosting. btw…your cake looks absolutely delicious and Mike is a very lucky man. I’m trying in vain to fatten him up but it’s just not sticking!